The Polk County High School Tennis Championship started this week with back-to-back days at the Cindy Hummel Tennis Complex in Auburndale. Parents and students lined the stands to watch their school’s tennis players compete for the East Polk County title and a chance to play in the Polk County Finals. The Polk County Championship consists of Boys Singles, Boys Doubles, Girls Singles, and Girls Doubles. Also included were individual contests for the Fastest Serve and Serve Targeting. This is just the beginning of a busy season at Auburndale’s Tennis Complex! In order to prepare for the upcoming games and activities, staff recently completed maintenance on some of the courts, pulling up old lines and installing new ones. It’s hard work, but it pays off when you set foot on the clay courts and can appreciate the fresh, new look of the lines. And there will be plenty of activity on those courts. Events are fast-approaching for both students and residents. Berkely Accelerated Middle School and Discovery Academy will be beginning their spring seasons on the week of April 15. The Cindy Hummel Tennis Complex will play host for both scheduled games and practices. Auburndale High School will be hosting this year’s FHSAA Girls District High School Championships (Class 3A) on April 15 & 16. Games will be played at Cindy Hummel Tennis Complex. Students and residents are encouraged to come out and cheer on the Auburndale Bloodhounds! Speaking of High School, a new local league is starting up on April 23 and will go on through May 28. The High School Team League will have students creating teams of 4 (2 boys and 2 girls) to compete in singles, doubles, and mixed matches. Teams have the freedom to customize their identity by picking team names, designing t-shirts, and selecting a Captain. There’s no better way to explore a sport than with the fun and camaraderie that a program like this can provide. School programs aren’t the only thing happening at the courts. On May 4, there will be a Doubles Tournament for both kids and adults. The two age groups are combined as teams must be comprised of an Adult (17+) player and a Junior (16 and under) player. For the cost of $25.00 to enter the tournament, you are guaranteed 3 matches and a modest lunch. The best part is you don’t have to be a pro to compete! The tournament is divided into two skill levels, “A” for the higher level players and “B” for the lower level players. It’s sure to be a fun event to check out, even if you’re fresh to the sport. The Cindy Hummel Tennis Complex is looking forward to this season of fun and exciting activities. Along with the myriad of events and spring programs, group lessons are still being offered by the two pros, Andy Durham and Logan Allen. Lessons for both adults and kids are very affordable and you can learn a lot of helpful information from the practice.  If you are interested in picking up the sport, increasing your abilities, or participating in any of the events mentioned above, please give the Cindy Hummel Tennis Complex a call at (863) 965-5544 or visit them at 202 Wiley Drive. You can also find more information on Facebook or on their Web Page.